The new annual tradition seems to be digital game sales centered around the Chinese New Year. Joining Steam’s Lunar New Year Sale is a similar Chinese New Year Sale over at GOG, bringing the usual selection of major discounts across both current games and time-tested classics. Get more gratis playtime with the best free games on PC. 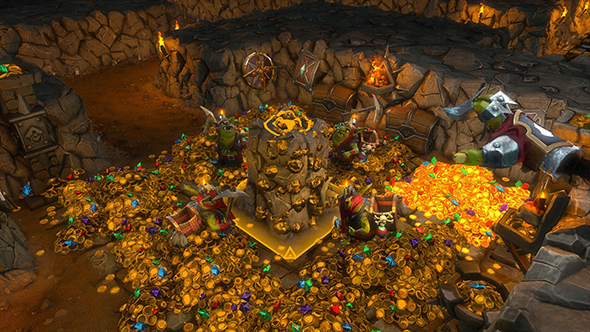 In addition to the deals, you’ll also want to hop over to grab a free copy of Dungeons 2. Just hit the main page, click the button, and it’s yours. The 2015 Dungeon Keeper-inspired strategy-management hybrid got mixed reviews on release, but it’s free now, and you probably aren’t going to see Dungeon Keeper 3 anytime soon. This release of Dungeons 2 also includes Halloween-inspired DLC for a bit of extra spooky fun. The giveaway will continue for just under 40 hours from the time of this post. GOG want to keep you checking in on the store until the close of the sale on February 20, so they’ve got hourly flash sales counting down for extra discounts across available titles. There’s also a new selection of GOG Connect titles available, letting you claim DRM-free GOG versions of games you own on Steam. This time those titles include Torchlight, Unreal Tournament GOTY, Pirates!, Mount & Blade, and more. There’s also HuniePop, but I’m sure you don’t play it and would have no interest in a version that doesn’t broadcast your playtime to your friends list.